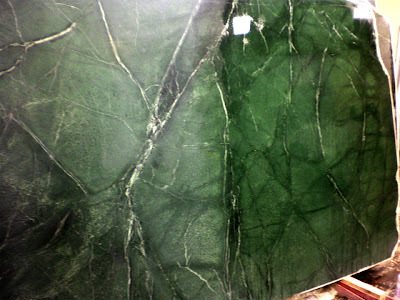 Tonight I found some gorgeous green soapstone available from a company in the Sacramento, California area. 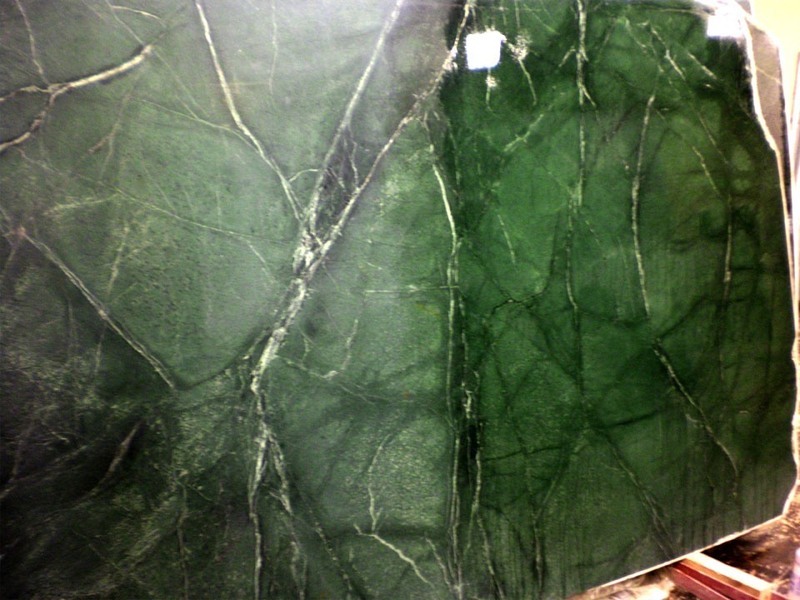 Geez, I love the stuff; it looks so much like our old Empress Green marble counters in Forest Grove which we both loved! I'm on the hunt now to see if we can get some nice slabs up here in Portland. Though I should have spent the evening studying, I was feeling really burnt out on school. So, instead I read one of my favorite Bungalow books: Bungalow Kitchens by Jane Powell. I figure all these books are going to do us more good for the remodel if I actually take the time to read the words—not just look at the pictures. I took almost four pages of notes about how it was done "in period." I'm hoping this is going to help me make some of these hard decisions, as the choices were so vast it was hard to pick. At least my options are being narrowed now. That's really pretty! I love dark green. Whatever you do, pick something you love--if you just choose it for the period, you may look at it every day and sigh, thinking how much you would have loved the green instead.